BetVictor have come up with an interesting new market, which guarantees their customers the chance to win up to £500 on every UK and Irish horse race that they offer betting on. 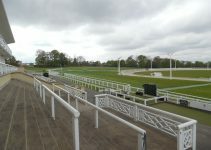 The idea behind the move comes after consultation with the Horseracing Bettors Forum, who have been keen to address the complaints of customers who have had their accounts restricted on the back of successful winning bets. The new offer will apply to both Win singles and the Win part of Each-Way bets, provided that they’re placed after 11am on the day that the race is taking place. It’s an offer for all grades of racing, too. 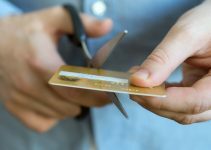 It comes a few months after a House of Lords committee urged bookmakers to rethink their policy of restricting accounts that had been successful in winning bets. Lord Lipsey declared in January that bookies had to ‘get a grip’ or risk the introduction of regulatory intervention that would be unwanted. At present, bookmakers have the right to restrict or limit the account of any customer that they choose. Ostensibly this is in order to give them control over the accounts of customers who they feel might have a problem with gambling or who break the terms and conditions of their account. However, there’s been an increased feeling in recent years that some bookies have taken advantage of this to restrict the accounts of punters who have done well and won a large number of their bets. As a result of the restrictions, a customer might login to their account and find that they’re not allowed to place bets with stakes over a certain amount of money or on horses with certain long odds. It’s a way of a company limiting their losses to those punters that take the time to investigate which horses are the most likely to win, do their research and give themselves an increased chance of winning over more casual bettors. In other words, if you lose more than you win then it’s unlikely that your account will ever be restricted as long as you’re using it within the rules and regulations of the bookmaker, but if you win regularly you might find yourself restricted. So What is a Guaranteed Bet? The idea of being offered a ‘Guaranteed Bet’ means that all customers, even those that have had their accounts restricted, will be able to place a lay-to-lose guaranteed bet. The company has even indicated that customers that have had their accounts suspended or cancelled will be able to apply to take part in the promotion. Those accounts will be evaluated on a case by case basis. The crucial thing is that this is just a ‘trial’ period to begin with. BetVictor are planning to look at how the system has worked and then increase the amount that customers can win at a later date. To begin with it will be limited to £500 but if it works then they might roll out both the racing that you can bet on and the amount you’ll be able to win. When you go to place you’ll find that you’re presented with another option called ‘Guaranteed Bet’. It will be alongside the ‘Extra Markets’ options on races that already exist. As mentioned, it’s only available for Win singles and the Win part of Each-Way bets. If you placed a £100 bet on a horse with odds of 5/1, therefore, it would be valid. The offer will cover First Past The Post and the Official Result in terms of what it will pay out on, provided you placed your bet after 11am on the day of the race. The one thing you’ll want to bear in mind is that other horse racing markets, such as ‘Run For Your Money’ or ‘Best Odds Guaranteed’ won’t apply to the Guaranteed Bet market. Somewhat unsurprisingly, the Horseracing Bettors Forum are entirely in favour of the new market. BetVictor have been in touch with them about doing something like this for more than a year, so it’s not a shock that the HBF have been very receptive of the initiative. The chairman, Matt Bisogno, admitted that they were ‘heartened’ by the bookmaker’s commitment to fairer betting. Bisogno pointed out that actions speak louder than words, meaning that the HBF felt that the announcement was a ‘positive step forward for British and Irish racing bettors’, demonstrating a ‘forward-thinking approach’ that they hope will lead the rest of the betting industry to follow suit over it. Will The Industry Follow Suit? The Horseracing Bettors Forum might be hoping that the rest of the industry will follow suit, but is it likely? Well, both Coral and Ladbrokes have been offering the same thing on racing daily for a while, but that’s only in their shops. 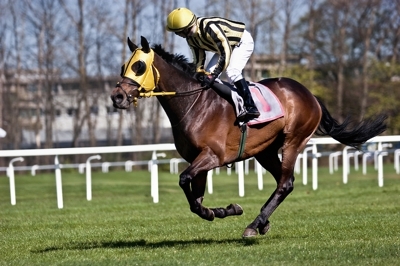 BetVictor are the first firm to offer it on online markets, citing their ‘strong and proud horse racing heritage’ as the reason behind it their decision. 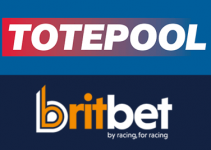 BetVictor’s Sportsbook Director, Matt Scarrott, said that it shows the company’s ‘commitment to giving Horseracing bettors the best possible value’, claiming that it’s a ‘leading industry initiative’. From the likes of Best Odds Guarantees through to In-Play betting, where one bookmaker leads the others usually follow. The reality is that this move is likely to gain BetVictor more customers than it will lose them, so other companies are unlikely to be too far behind if they want to keep up with the trends. Whatever happens next, you can bet that the rest of the industry will be monitoring what happens closely.